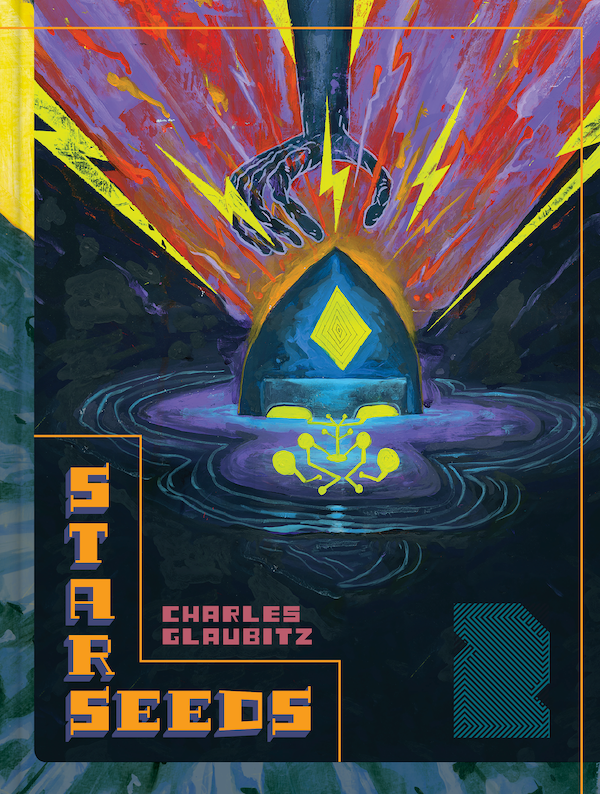 In the first volume of his cosmic epic, Charles Glaubitz laid out an onslaught of universe-shattering conspiracy weirdness that helped readers transcend the state of mind they accept as living in reality and accept what lies beyond. Starseeds 2 expands on that and promises to stretch eager minds further than they’ve ever gone through a single comic book experience as if Jack Kirby was resurrected and set about writing a sacred text after dropping acid, this is what that might look like. Glaubitz uses his own forms of superhero tropes, but they never overtake the story, but become one more swirling element in a huge tornado of cosmically insane comics. Starseeds 2 will be in stores on Feb. 5. Here are five pages to check out, after which you may never be the same.